A fun candy adventure. 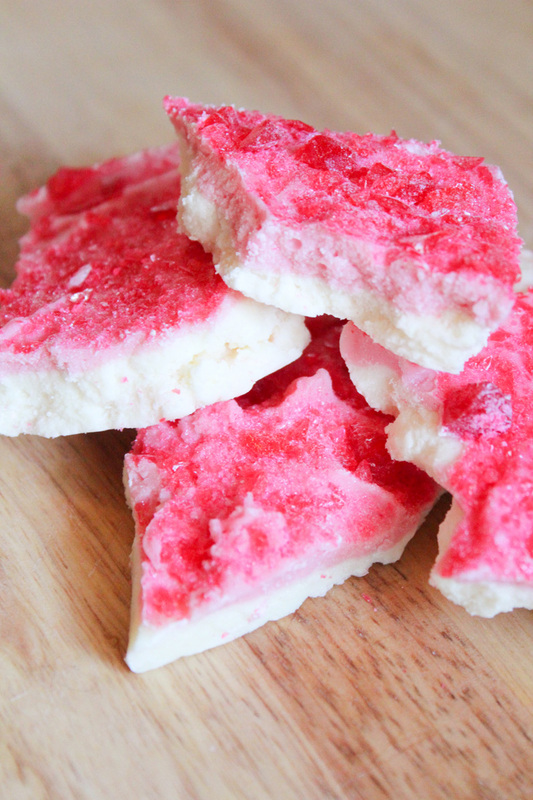 Vanilla Cherry Bark is an easy treat, filled with great cherry flavor. Makes a great gift idea, simply wrap in plastic and tie with a bow. Hang a sweet tag and give to your loved one.